We all know mosquitoes are a nuisance to humans, but they can also be dangerous for your dog or other pets. 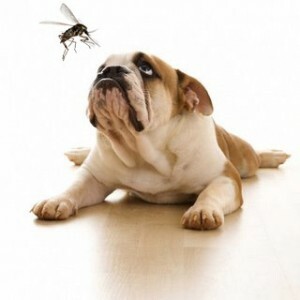 Certain types of mosquitoes are attracted to dogs and will bite them. When they do, there is a chance they can infect your dog with known diseases. Given that dogs like to be outside, and when they are outside they enjoy the same habitat as mosquitoes (water, long grass, etc.) the risk is real. Female mosquitoes need blood to help grow their eggs, and dogs are a likely target given the amount of time they tend to spend outdoors and their inability to swat mosquitoes easily away. 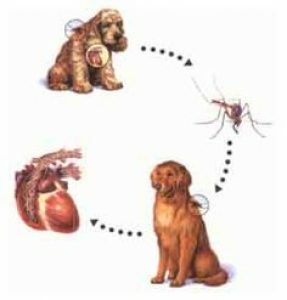 Knowing how to keep your dog mosquito-free is an important step in preventing some common diseases, namely heartworm. When it comes to dogs, heartworm is enemy #1 and should be taken very seriously. Keeping your dogs and pets mosquito-free should be a priority regardless of where you live. While we typically associate mosquitoes with the Florida lowlands, or humid corn belt, or the Northwoods, the fact is that mosquitoes are present in almost every part of the country. They do especially well in places like the Mid-Atlantic and Northeast, as well as Southern California. Additionally, it is impossible to know which mosquito carries a disease like Heartworm, West Nile, or Zika, and which do not. The only way to prevent those diseases, then, is to prevent any mosquito bites from happening. 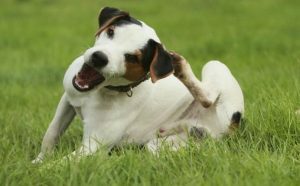 Aside from health, mosquito and bug bites are downright annoying for your dog, so that should be reason enough to take precautions and reduce the chances of your pet being affected. To keep the dreaded mosquito away from your dog, there are a few steps you can take. Note that by keeping mosquitoes off your dog and pet, you will likely keep other bugs and insects away from them as well. Make your yard Mosquito-Unfriendly. The best thing you can do is to make your yard or park unappealing for mosquitoes. If you can only do one thing, eliminate all standing water from your yard, because that is where mosquitoes breed. 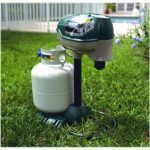 For more detail, we did an entire piece on how to eliminate mosquitoes from your yard. Take a look at it and then begin taking action. Note that if your dog spends lots of time in a small outdoor space, such as a fenced in backyard or a kennel, using a high-end mosquito magnet or zapper could be very effective. Honeydew Pet Pleasant. 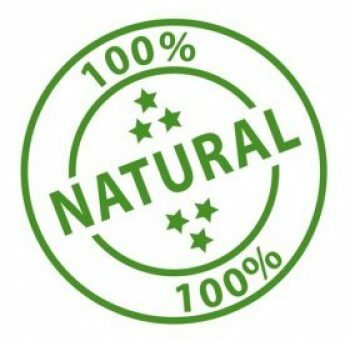 This natural formula does quite a few things in one. It is a deodorizer for pets, helps keep ticks away, and is a mosquito repellent. With a lemongrass and citronella mix, it will not leave your pet smelling like a mixture of harsh chemicals. Instead, it is a pleasant smell from ingredients that are found in nature. We highly recommend this product for dogs. As for cats – it will keep the skeeters away, but the cats won’t be big fans of getting sprayed. Vet’s Best. Another product that bills itself as a natural formula, this is a bit more of an active spray, whereas the Pet Pleasant is meant to be a deodorizer and on-the-go shampoo. Vet’s Best does a great job of keeping mosquitoes away, and it also kills ticks and fleas on contact. The smell is a little stronger, and has a peppermint / clove combo. Also can be used on cats, but ideally those with shorter hair. Find it here. Keep your Dog’s Sleeping Area Mosquito-Free. For dogs who sleep in a well-sealed home, keeping mosquitoes away from them requires the same steps as for humans. For dogs that might sleep in a garage, doghouse, kennel, or outdoors, take a few steps to keep the bugs away. You may want to have a door or screens that don’t allow mosquitoes through, or treat the area with a dog-safe chemical every few days. This, combined with shampooing your dog with mosquito-repelling chemicals, will reduce the chances of a bite. Since most mosquitoes are active at night, this is quite important. Consider a Heartworm Preventer. OK, so this doesn’t fall into the category of preventing mosquito bites, but if you are in the mosquito zone we definitely recommend giving your dog a tablet against heartworm. 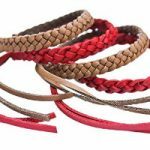 The most common ones are taken every 4, 6, or 8 weeks, and some of the more popular names are Heartgard and Iverhart Max. Safeguard also makes a multi-worm treatment that is affordable (here) and gets good reviews. You may want to consult with your vet on which is the best for your dog’s breed and size. The good news is that the right tablet can control against other worms as well. Note that some vets will do an every-6-month injection against heartworm, if that is something you think you would prefer. 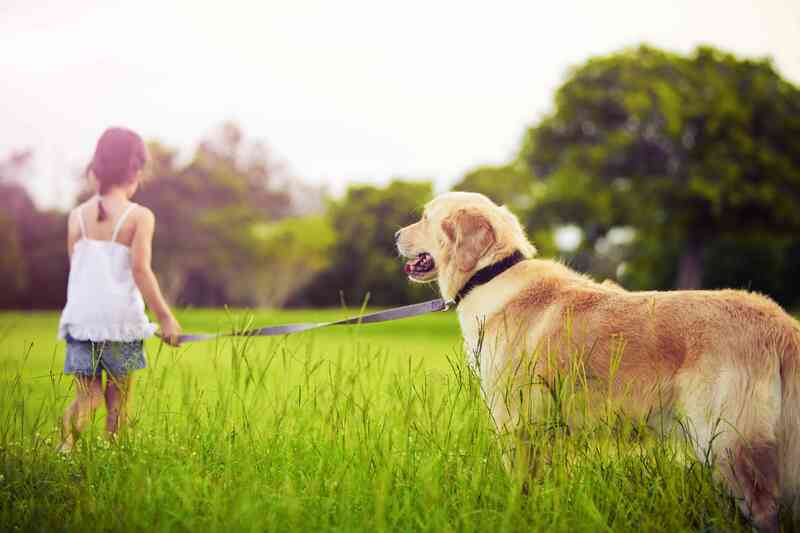 While you are at it, consider taking steps to keep your pets tick-free as well, as controlling the trifecta of mosquitoes, fleas, and ticks should really be thought of as one major effort. What Types of Mosquito-Borne Diseases can Dogs and Cats Get? While humans are definitely concerned about the mosquito-borne illnesses around the world, it is not just humans that are affected. Birds and mammals are at significant risk for mosquito-transmitted diseases too. Certain types of mosquitoes (there are over 175 mosquito species in the US and 3,000 in the world) are very attracted to dogs, and will bite them. These bites can carry a number of diseases, and here are the few that those of you in North America should be attuned to. Heart worm. The disease that affects many dogs each year is primarily spread by mosquitoes. Once a dog is bitten by an infected mosquito, the disease can develop very slowly – 6 months or more until you see symptoms. The larvae then lodge and hatch in the dog’s heart and lungs, and spread. Heartworm might be the most important reason to keep your dogs away from mosquitoes. West Nile Virus. Dogs and cats can get the West Nile virus, although it appears to be a very low risk. If a dog or cat contracts West Nile, they may or may not show the symptoms. This is actually the same as for humans – it is estimated that only 2 out of 10 humans with West Nile show any symptoms at all. You could be walking around with the virus and not even know it. Where it becomes an issue is when it affects the brain, so if a dog begins to show neurological symptoms, take them to a vet immediately. Eastern Equine Encephalitis. 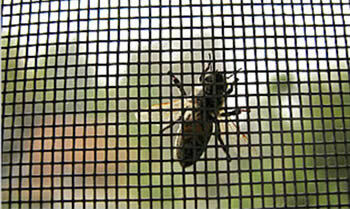 Also known as EEE, this disease is mainly found in the South, Southeast, and Eastern US. It affects horses and humans, and has shown some rare ability to infect pets like dogs and cats. Pets can usually make a full recovery from it. One of the more common questions we have been getting since the Spring of 2016 is if dogs (and other pets) can acquire Zika. According to the CDC, there is no evidence that dogs can be infected with the Zika virus. That does not means that scientists do not believe dogs can get Zika – it simply means that there is no evidence that they have gotten it to-date. It seems as if the risk for dogs getting Zika is low, or if they do get it, they don’t tend to get sick from it. Since Zika has been a known virus for about 70 years in other parts of the world, studies have been done with the virus in a number of animals. There is some limited evidence that mammals other than humans can get the virus – but it tends to be a low risk and the studies suggest that animals don’t tend to get very sick from Zika. We should stress that more research is needed pertaining to the effect of Zika on pets, including dogs. While the evidence suggests that dogs have not been getting it, we have a lot more to learn. For now, focus your efforts on preventing other diseases, like heartworm. Can Dogs Transmit the Zika virus to Humans, and Vice-Versa? It does not appear that there are any known cases of Zika being transmitted between dogs and humans. In fact, the only animal that appears to be prone to Zika is the monkey, based on what we know today. Monkeys were first discovered to carry the virus way back in the 1940s. While domesticated monkeys are rare, they are a much more likely candidate to get Zika than dogs. Can Cats Get the Zika virus? Mosquitoes are more than annoying for dogs… they can cause serious illness. Cats fall into the same category as dogs. While there is no proof (yet) that they cannot get the diseases, there is also no evidence that they ever have gotten Zika. Like dogs, cats may be immune to Zika, or it just may be that if they get it, they don’t show the symptoms like a human might. Here are a few takeaways for you as you think about how to manage your dogs and pets in mosquito-heavy regions. Treat your dog’s (and cat’s) coat and skin with bug-repelling spray or shampoo. There are lots of safe options today. Consider providing dogs with heartworm-preventing tablets, or in some cases injections. This is cheaper than treating the disease.